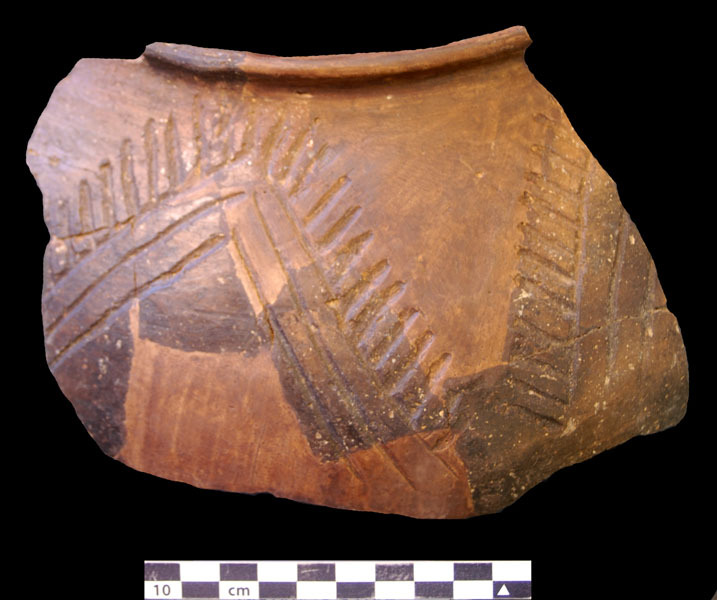 The Cloverdale archaeological site (23BN2) is an important multi-component site near St. Joseph, Missouri with both Kansas City Hopewell (ca. 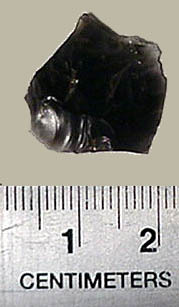 AD 100 to 500) and Mississippian (ca. AD 1200) occupation. It is situated at the mouth of a small valley that opens into the Missouri River Valley. This website is designed for use by school children, amateur archaeologists and professional archaeologists. Most of this very significant site has been protected and is on State managed property. The site is forested and not open for artifact collecting or unscientific excavation. 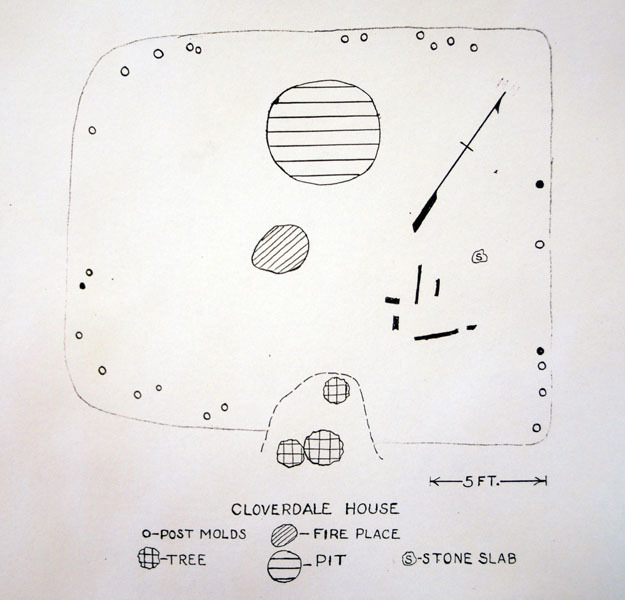 The numerous Cahokia points found at the Cloverdale Site leads to an interesting possibility that it was at least an active trade partner with Cahokia or that Cloverdale may have functioned as a Cahokia outpost/border town. 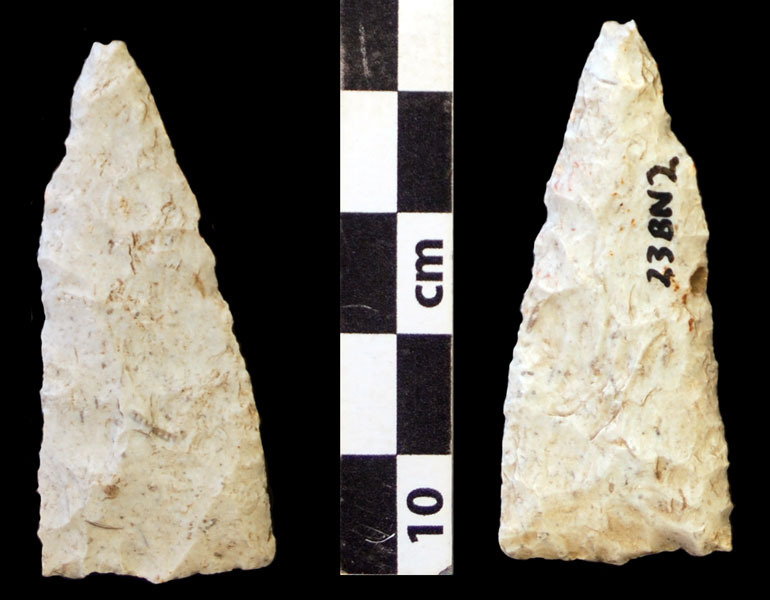 Special thanks to Mike Fisher (President Emeritus of the Missouri Archaeological Society) and Margaret Fisher for discussing the site with me and allowing me to photograph the artifacts illustrated on this webpage. Many thanks to Sarah Elder, curator of the St. Joseph Museums, for permission to work with the collections from Cloverdale site. Special thanks to Ettus Hiatt for editorial assistance in my webpages.